‘Tiny-TS’ is a Tiny Touch Synthesizer That Fits in the Palm of Your Hand #MusicMonday « Adafruit Industries – Makers, hackers, artists, designers and engineers! This thing is so cute – it looks great, and sounds great too! 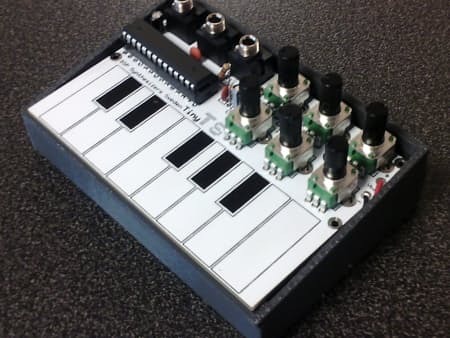 This is the kind of device that will get a young maker hooked on synthesizers and circuit bending a young age and before you know it they’re hacking their own toys! Using standard through hole components like capacitors, pots, transistors & resistors, and the ubiquitous ATmega328 MCU, this thing looks easy to assemble and fun to play! Source code is here on GitHub and project documentation is here on Hackster.io.